Lawton’s connection to Saint Mary’s doesn’t end when she leaves campus. Her company, Dana Lawton Dances, which she started in 2006, features many SMC alumni, like performing arts graduates Leah Hendrix-Smith '13, Jerry Lin '12, and Vera Schwegler '10. Michael Armstrong '96 recieved his MA in Health Services at SMC and Jennifer Smith '96, MFA in Dance program coordinator, got her MA in Kinesiology from the college as well. In addition to having multiple SMC alumni in her company, Lawton regularly collaborates with dance professors Rogelio Lopez, for set and costume design, Linda Baumgardner for lighting, and Jia Wu for video. Lawton and Wu along with Rosana Barragán, director of the M.F.A. 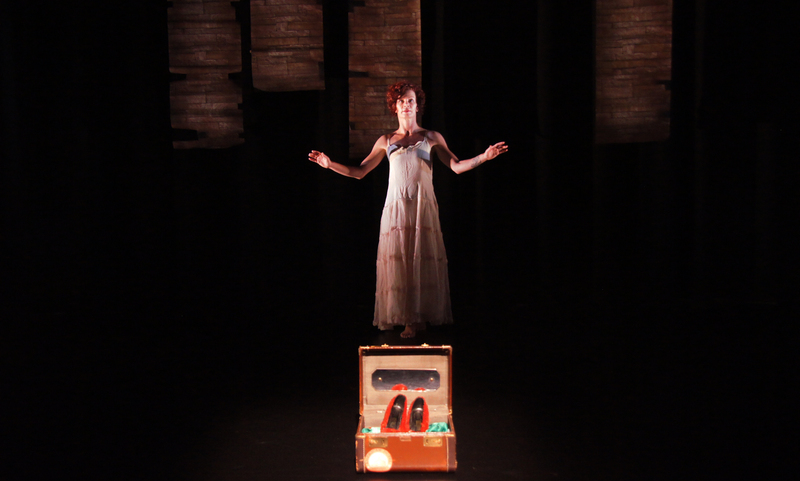 in Dance Creative Practice program, and CatherineMarie Davalos all collaborated on Who Is She?, which premiered at the San Francisco International Arts Festival in 2010. Besides showcasing works throughout the Bay Area, Lawton and her company have traveled throughout California and abroad. Her most recent show, Home, was presented in Belfast, Ireland this past summer and in Santa Barbara in the fall. Lawton began developing Home two years ago when she says she was “feeling at home in both my artistic life and my physical life.” Lawton asked her dancers questions such as, Is home a person? Does it not matter where I live as long as I am with the people I love? Or, is home a sense of place in a person’s bodies? How do we trust our bodies? How do we find home with our bodies?? Because Dana Lawton Dances is a multigenerational dance company with dancers ranging in age from 23 to 68, the conversations of “home” for the dancers of different backgrounds and ages were "incredibly vibrant." Lawton used the discussions to develop an evening-long piece. In fact, the decision to take the show to Ireland was influenced by one of her dancers who was originally from Belfast. He left Ireland when he was 15 and hadn’t been back since. Returning to the states, Lawton brought Home to her hometown of Santa Barbara this past October with two days of sold-out performances.